Recent figures show that 1 in 6 consumers are taking out mortgages with a repayment term of over 35 years. These alarming figures will see borrowers paying back their loans well past retirement age. Let’s explore some of the reasons for this trend and take a look what this really means in monetary terms. What will be the extra cost in interest over the years? The Bank of England has recently disclosed new figures that show that more borrowers than ever are choosing to take out longer term mortgages. The result of this new trend means that many people will still be paying off their debts well into their 70’s. After hearing the latest data, one large mortgage broker stated that when it comes to first time buyers, a 25 year mortgage has become “a thing of the past”. Although the recently released figures showed that 15.75% of all new mortgages that were taken out in the first 3 months of this year were for 35 or more years, they have fallen from the highest recorded figures of 16.36% that were recorded at the end of 2016. In recent years there has been a steady increase in people taking out longer term mortgages. In 2005 the percentage was 2.7 and a similar trend can be seen in mortgages for between 30-35 years that were less than 8% in 2005 but are just under 20% today. Consumer debt has been rising steadily over the past few years and the Bank of England has warned that this could spark another financial crisis like in 2008. Back then, excess borrowing made the economy and financial institutions unsafe. It has warned banks, credit card companies and car loan lenders that they will take fresh action against them for reckless lending. They have accused borrowers of becoming complacent and not properly assessing risks as borrowing conditions have become easier. What factors are responsible for this trend of longer term mortgages? Couples are settling down and having children at an older age than they were in previous years. 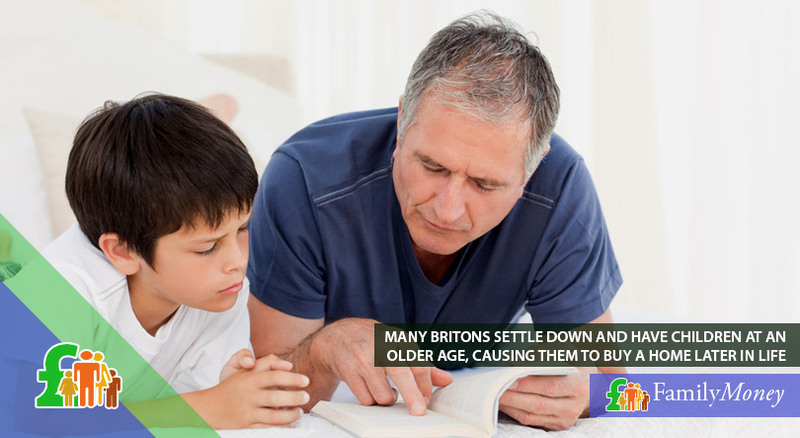 This is causing them to buy a home later in life and opt for longer repayment terms. High house prices and the increase in student debt mean that lower repayments are much more attractive. As the term of the mortgage lengthens, the payment price is significantly reduced, meaning that it is much more affordable on a monthly basis. The downside to these longer term mortgages is that because the loan is over a longer period of time the amount of interest that is repaid is much more. The amount can be several thousands of pounds more than a usual 25 year mortgage. For many new mortgage holders, the reduced monthly payments are all that they can afford to give along with all of their other financial outlays. Student debt, high house prices and the amount of couples settling down later in life are some of the factors causing this trend. What monthly savings can be had by increasing a mortgage term? The Halifax Building Society says that a borrower who takes out a 200,000 pound mortgage to purchase a home would pay 809 pounds back every month. This would be the payment price if the mortgage were taken out over a 25 year term. If they were to change that to a 40 year repayment plan, then the repayments would me a much more affordable 596 pounds a month. These figures are based on 180,000 pound mortgage as a deposit of 10% would have to be put down. The Halifax Building Society says that a borrower who takes out a £200,000 mortgage to purchase a home would pay £809 back monthly. How much more money will a longer term mortgage cost in the long run? The chart below shows an example of the amount of interest that would be paid back on a 180,000 mortgage with a 2% rate. The table clearly shows that the repayment amount is much more the longer the mortgage runs for. The huge difference between a 25 year mortgage and one taken over 40 years is a whopping 33,000 pounds. An increasing number of lenders have increased the time span of mortgages due to the increase in demand for these kind of products. 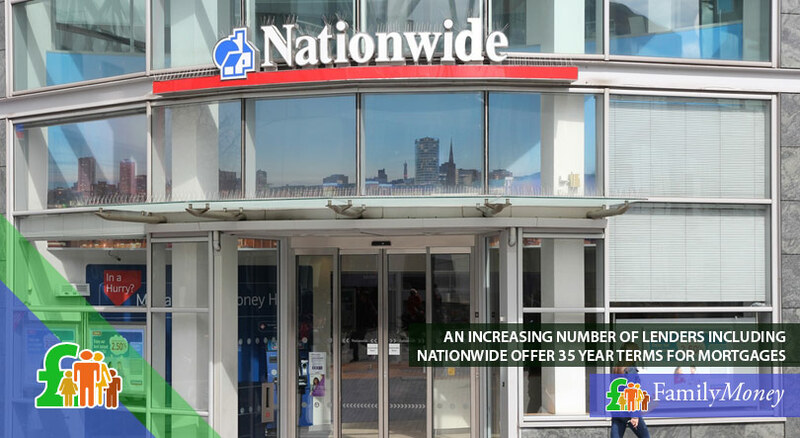 Most lenders offer 35 year terms and an increasing amount including Nationwide, the Halifax, and the Newcastle, Leeds and Hanley Economic Building societies offer terms for up to 40 years. Many lenders have also extended the age limit of a borrower at the end of the mortgage term. This allows borrowers to increase their borrowing time quite easily. The Family Building Society allows a person aged 42 to take out a forty year mortgage, or a person aged 52 take on a 30 year term. 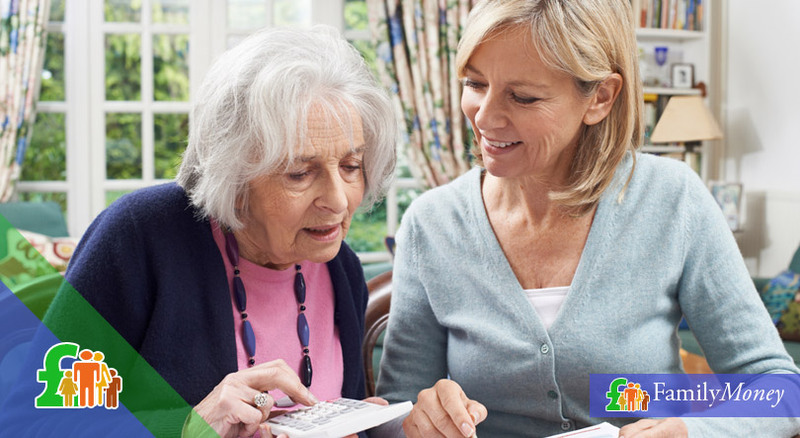 The Halifax Building Society has a maximum age limit of 80 years of age for its borrowers. Many mortgage deals do allow some kind of early repayment without incurring penalties. This is a feature of many mortgages that allows the borrower to overpay by 10% per year. 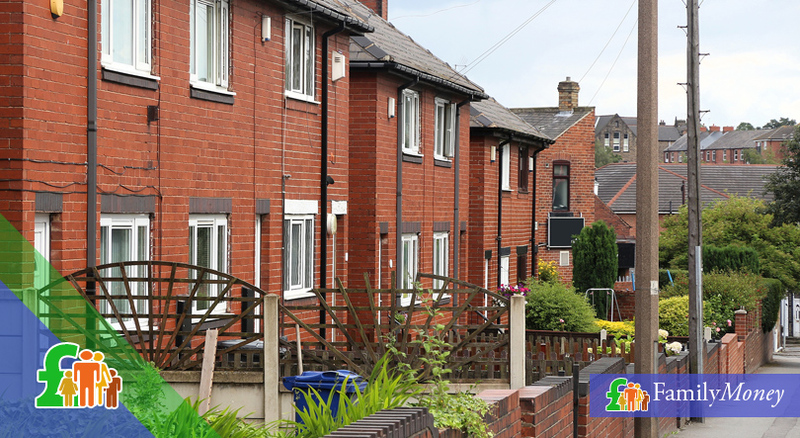 This enables many people to get on the property ladder when they are younger and need the lower monthly repayments, but affords them the hope that as time passes and they grow more financially stable they will have the option to pay off their loan earlier and decrease the amount of interest that will be repaid overall. So in a way, this kind of system gives you the financial benefits of a 25 year mortgage with out imposing the strict repayment schedule that may not be able to be met. So what conclusions can be drawn regarding longer term mortgages? With recent inflation figures at very high levels and pay caps still widely in place for many, these kind of longer term mortgages are gaining in popularity every year. This is not surprising as a lower repayments could be the only way that many young home owners could ever hope to own a house. Although a considerable amount of money will be lost in interest payments over the years, the option to shorten the term by using yearly overpayments could make these longer deals not as bad as they appear.